I’m Bill Smith, the owner of Building Diagnostics. I’ve spent most of my working life trying to make buildings better. As a contractor and remodeler I did carpentry of all types. When I operated a small remodeling business I learned about all the trades, out of necessity. Being a frugal type, energy efficiency had an enormous appeal. Being a builder, I was concerned about the quality of buildings. When I started learning building science I was able to put it all together. 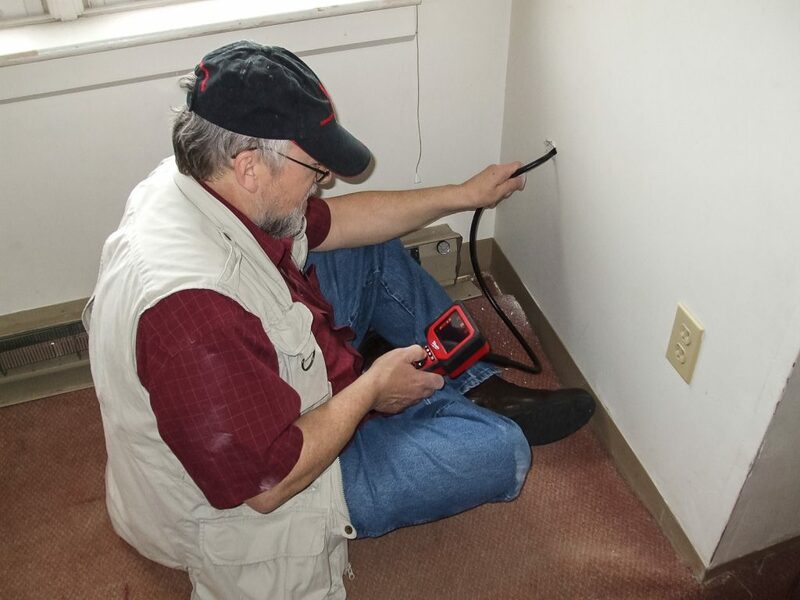 I started Building Diagnostics in 2001 to serve the relatively new market for energy audits. Initially most of my work was in the residential field. I soon found that a lot of small businesses had major issues with the energy use in their buildings too. The commercial work got me working on issues of comfort and indoor environmental quality (IEQ). In early 2007 I took the position of Program Administrator for Commercial Energy Efficiency Programs with The New Hampshire Electric Cooperative. For almost two years I worked with a great team of people and I saw a lot of commercial buildings. From schools and municipal buildings to hotels, convenience stores, supermarkets and factories, I also discovered that while there were lots of companies that would audit lighting or refrigeration no one looked at the whole energy package, including the building. In late 2008 I left the Co-op to serve the need among small and medium-sized businesses and towns for comprehensive building analysis. This was also an opportunity to re-engage homeowners and offer a more complete look at their homes than a traditional energy audit offers. My overarching goal is to help my clients keep their buildings durable, healthy and energy efficient. To do that I offer a variety of services. I’ll help you plan for a new building or a major remodel. Maybe there’s a specific problem that isn’t going away, a persistent mold problem or maybe a room you can’t make comfortable.